Moving coil transformer offers stepless regulation of welding current with thermal and overload protection. Fan-cooled, high efficiency compact and lightweight for portability. 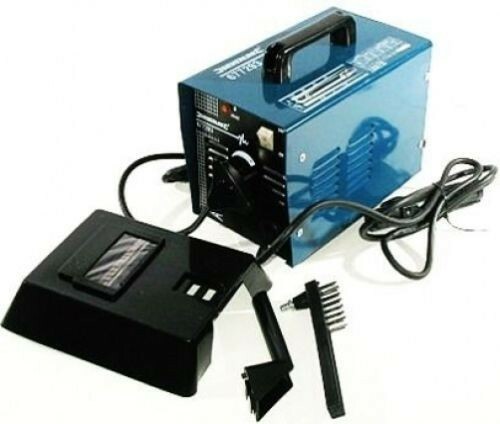 Kit supplied with earth cable, electrode holder, chipping hammer/wire brush and welding mask. 230V 13A power supply.